Every year in the housing industry, new homes hit the market for investors to purchase. The smart investors have many resources to use in order to find out the newest properties that are available to purchase. JWB offers some of the best rental property deals in 2015 through its investing programs. The video below explains new homes available to purchase in the Jacksonville market. A cap rate can be deceiving in some instances when investors calculate returns for a rental home. Things like market value, current rent price and neighborhood statistics must also be evaluated prior to completing a home purchase. Earning top dollar for a rental property can be achieved although professional management is often the key to getting the most cash flow. 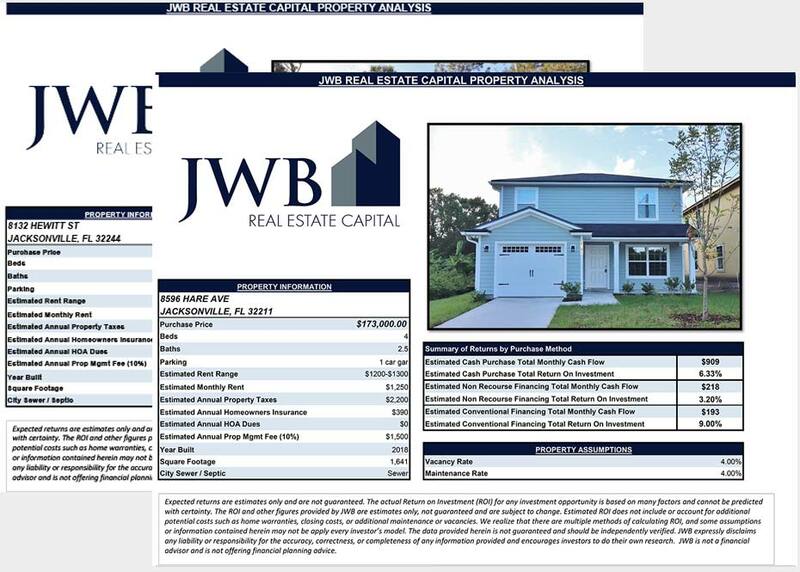 Jacksonville homes for sale that are listed in the rental portfolio here at the JWB company are offered as turnkey sales. 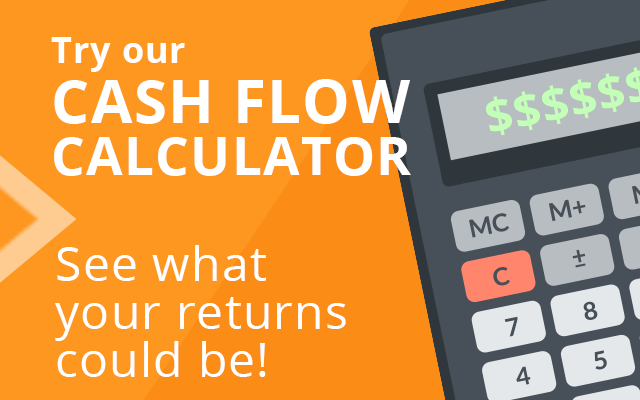 What this means is that cash flow is already in place for a property that an investor selects. The monthly rates that come in from rental tenants helps to boost the cash flow for every home listed for sale this year. Doing everything alone is how some investors choose to run an investment business. While performing rent collection and tenant checkups is time-consuming, time taken away from management a company is a hard asset to get back. JWB provides one of the easiest solutions to purchase an available rental property for under market rates. A small monthly charge offers investing clients the chance to have a purchased home professionally managed. The availability of homes for rent in Jacksonville has created more investment opportunities for JWB clients. Homes are now being built in good neighborhoods to secure more routes of cash flow for investors who buy North Florida real estate. Any properties featured in the videos on this page or on other pages of this website that are marketed as turnkey homes are setup to improve cash flow for investing clients in 2015 and beyond.